The Index opened huge gap-up around 8750 and went up to make high of 8788 but saw huge unwinding to close near the lows of the day at 8634.65, loss of 51.25 points. The broader market was also weak, with 502 advances to 987 declines. Developing Range as per Option Table stays at 8400-9000. Call option 8500-8800, 9000 added huge 22.92 lacs OI with profit booking seen at 9100 and above strike prices. 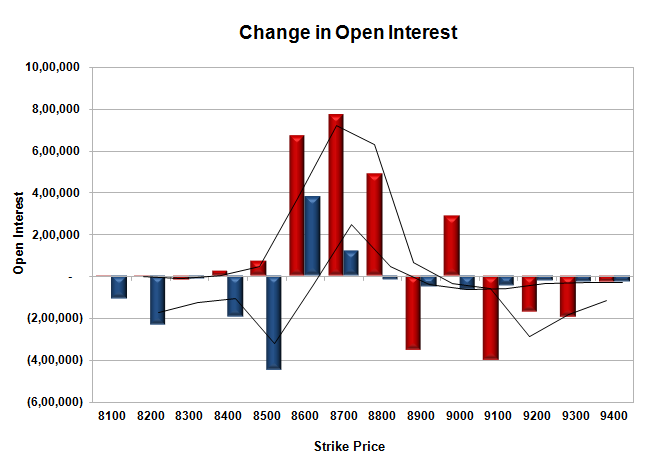 Put option 8700-8600 added 4.96 lacs OI with short covering seen at 8800 and above strike prices. 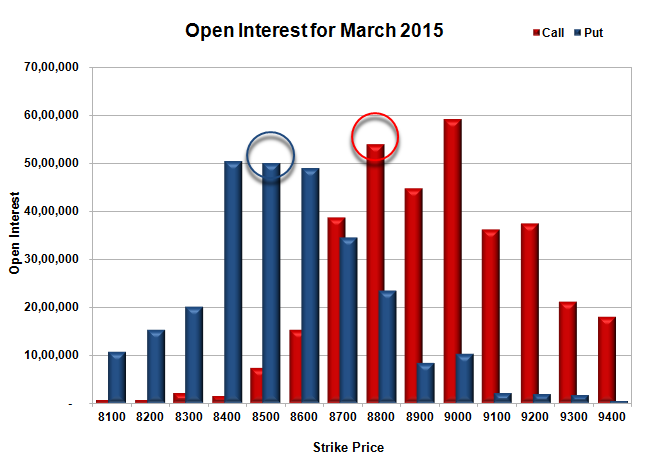 Nifty Open Interest is at 2,31,00,800 down by 2,86,950, with decrease in price, most probably huge long liquidation. Bank Nifty Open Interest is at 26,04,750 up by 1,41,200, with decrease in price, most probably huge short build-up. FII’s bought 1.40 lacs Futures, which includes 8173 contracts long build-up and 2585 contracts short build-up, with increase in net OI by 10758 contracts (includes 71737 longs to 66149 shorts for the day) and the Average Price comes to 8862.03. FII’s Index future open contract as on date is 751242 Longs to 128970 Shorts, net long 622272 up by huge 5588 contracts. Initial support still at 8600, with OI of 49.01 lacs and below that at 8500 with OI of 49.88 lacs. Initial resistance at 8700, with huge OI addition of 7.72 lacs and above that at 8800 with huge OI of 53.92 lacs. 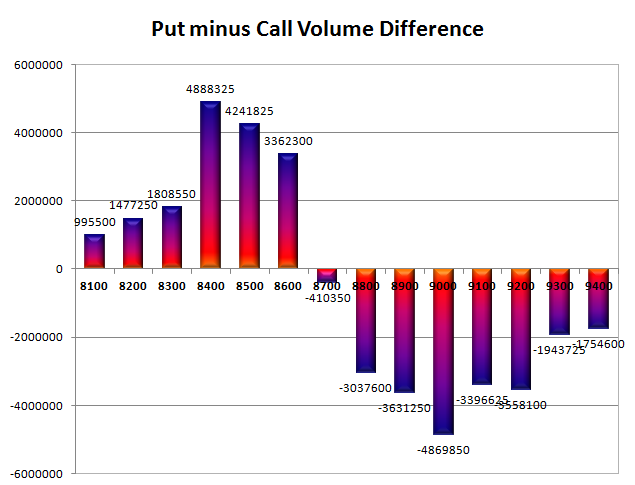 Day Range as per Option Table is 8581 - 8757 and as per VIX is 8566 - 8703 with 8679 as the Pivot.